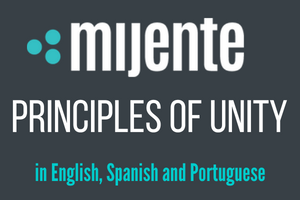 Mijente’s petition platform is designed for Latinx changemakers and anyone who wants to make positive change. People have used it to expand access to queer clubs, to challenge language discrimination in the workplace, to stop individual deportations, and more. Organizations who wish to use the platform can sign up for a digital partner account. Many other platforms offer you the ability to post petitions, few of them let you take your list with you when it’s done. And ever fewer have a base of rad Latinx supporters who share your values and know your struggle.